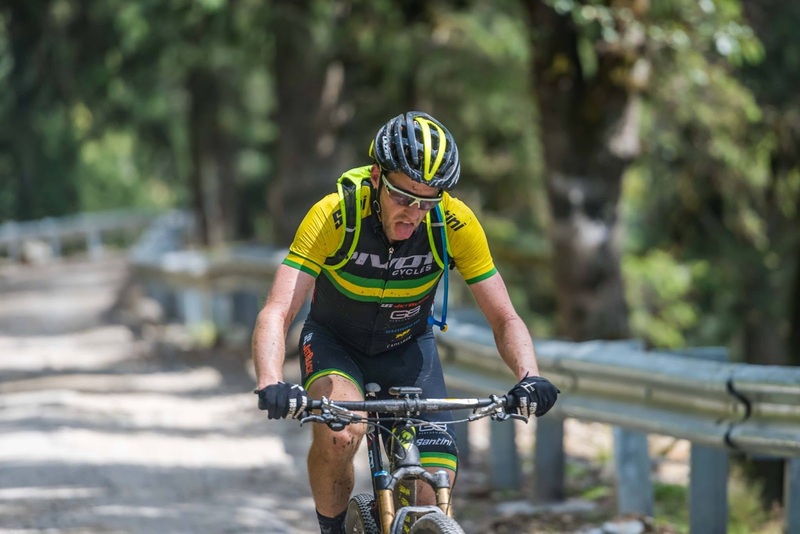 Jason English: Hero MTB Himalaya 2016 - You Can Do It! 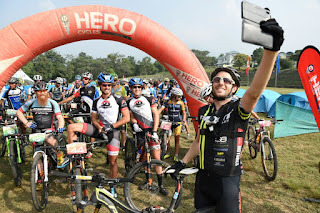 Hero MTB Himalaya 2016 - You Can Do It! Firstly this is not a race report. This as a recount of an amazing journey and details how and why you should do it! 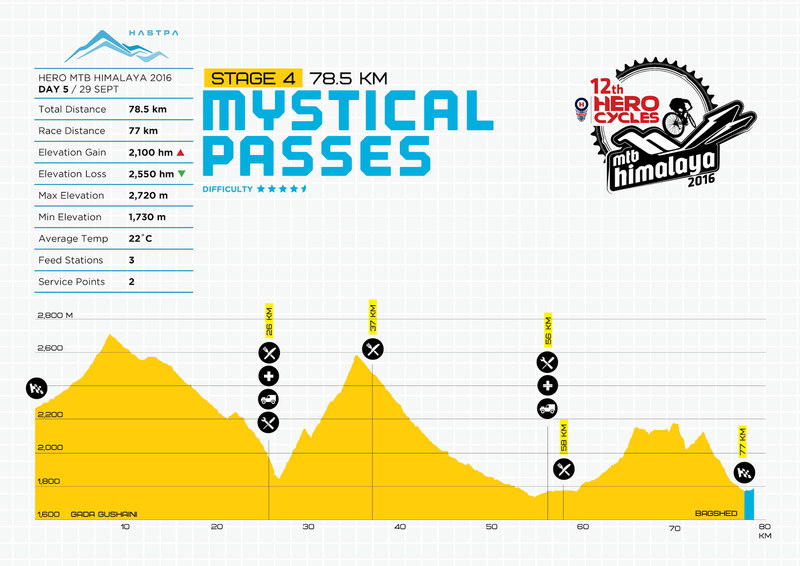 So what is the the Hero MTB Himalaya? The Hero MTB Himalaya is a 9 day, 8 stage race across a variety of terrain. This year (2016) around 600km was covered and close to 15000vm climbed. Race distances are between 55 and 85km each day. 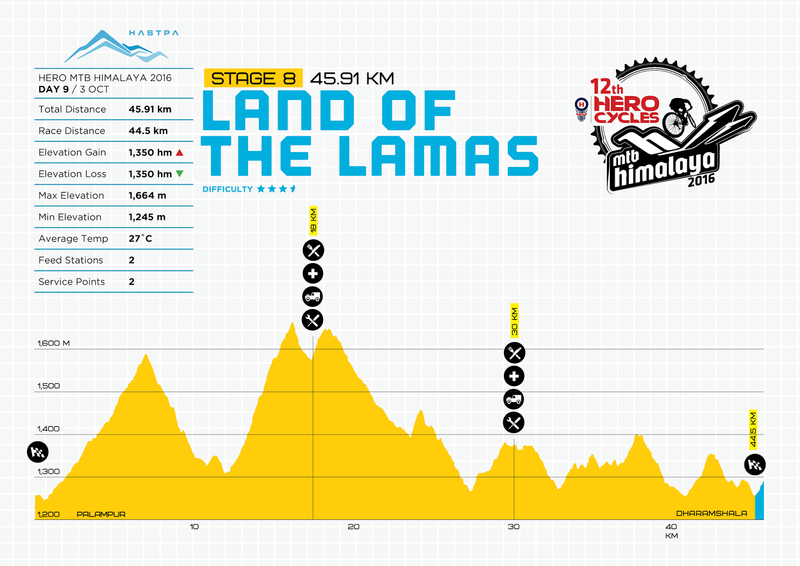 The race starts at Shimla and finishes at Dharamshela, the home of the Dalai Lama. 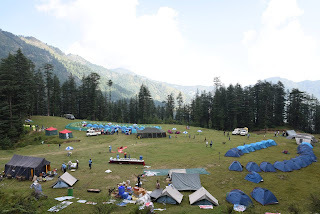 At this stage accommodation is at hotels for the first and last night with a tent city being setup each other night. Amazing food is included as part of the entry fee and the same cooks follow the race each day and provide more than enough options and volume for the hungry cyclist. There are many reasons why you should do this race. While some of the highlights of the trip were observed while racing, I really enjoyed all the 'extras' that were included to supplement this experience. The chance to race and also see how a different culture operates is priceless. I have met several new friends that I'm sure I'll meet up with again at other races. 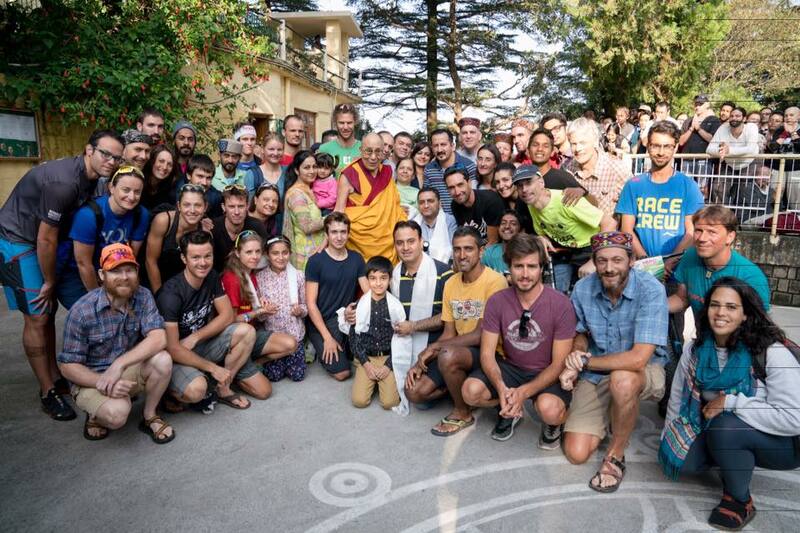 The chance to meet the Dalai Lama was a group highlight that I missed out on due to changed flights. I can highly recommend this trip if you want a one cost covers all trip while not needing to worry about the logistics of accommodation and meals. Bike - I highly recommend a dual suspension bike due to the amount of rough roads and technical sections. Bike lock - while I felt pretty safe over the whole trip, my bike did get stolen during the first night. I had it locked to the pedestrian fence but realise now I should have locked it to something more solid. Good thing the thief left it where they crashed it not far from the campsite! Cash - I only got out 12,000 INR and that was enough to but a few souvenirs and beverages. Make sure you allow for the deposit for the timing chip which was 2,000 INR. I found most places took Mastercard so it wasn't often that cash was needed. Spares - assume that there wont be any spares for your bike along the way. The only option you have will be to buy parts from the mechanic and hope they have what you need. Pack spare brake pads, a couple of tyres and 3-4 tubes. Toiletries / other supplies - spare toilet paper, hand sanitation, antibacterial baby wipes, sunscreen, chamois cream, lip balm, anti diarrhea meds and gastrolyte for re-hydration if required. Clothesline and laundry soap - hanging space was a premium at times. Ear plugs - you will be sleeping near a snorer at some stage! Travel Insurance - this must cover you while racing and the event organisers will want to see this before they let you race. The only option I could find was World Nomads. When I purchased my insurance there was the option to indicate racing at specific altitudes. Immunisations - I was advised to get jabs for Typhoid, Hep A, Tetanus and a flu vax. doctors getting your jabs, ask for a clearance letter for the race and find out your blood type if you don't already know (required by event organisers). E-visa - costs around $50 US and is something that shouldn't be done 3 days before leaving! Flying internationally - I chose Singapore Airlines, they were reasonably priced and offered good timing to minimise total travel time. For domestic flights once in India I used SpiceJet and Indigo. Both Airlines charged 4,500 INR (around $100 AUD) for a 15kg bike on top of the base ticket price. For this reason it is lots cheaper to go by bus if you have the time. 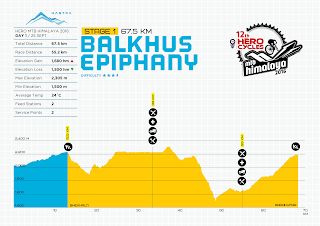 The race organisers provide a prepaid bus option and make sure you are around to make the bus. The level of care to ensure all riders get to the accommodation and to their flights etc is great. The taxi trip wouldn't be much faster than a bus! The first and last nights are at hotels, all other days through the race involves camping. Arriving at the hotel and during briefing for the first day I was kicking myself for not bringing a hardtail. With the amount of climbing I thought this would be essential. I tucked into the feed after briefing at around 7pm not realising that this was just snacks and that dinner was still to come! This was pretty standard for each of the following days. I was impressed that the standard price for a litre of water is around 50 cents AUD and it was readily available. Although there are signs at the Indian airports saying "drinking water" from water fountains, I would think twice about consuming it. I would suggest a Camelbak All Clear or another treatment method if you were to drink this water. Bike setup / what to wear? 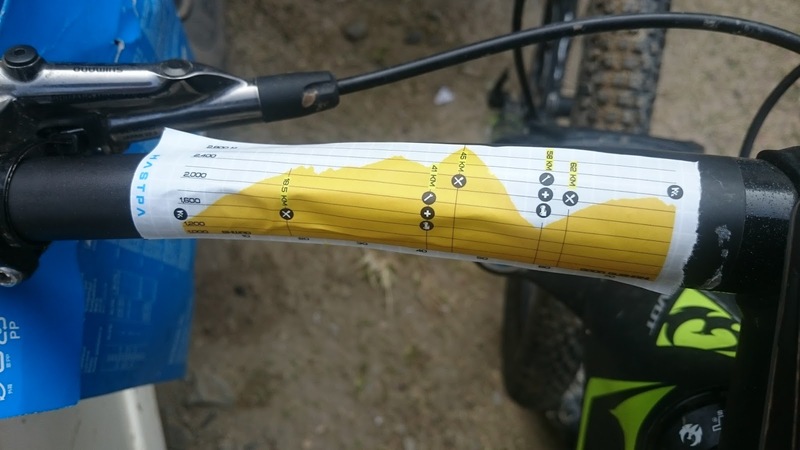 Tyres - Strong tubeless tyres are a must if you want to avoid pinch flats and getting cut tyres as lots of the course is on sharp pointy rocks. Fluid - while some people attempted the race with just 1 drink bottle on their bike, I think 2 bottles or a Camelbak would be safer. I used a Camelbak on all but 2 of the shorter stages, and I needed it! Food - you should aim to be self sufficient in regards to food through the use of gels/bars etc. 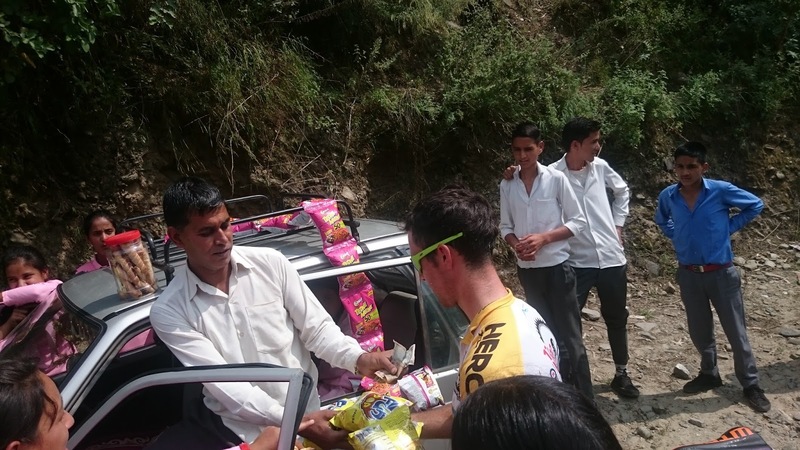 There are cakes, biscuits, bananas, water and electrolyte at each feedzone if you prefer to have a break. Profiles - course profiles are provided for each stage. These are essential for planning nutrition and pacing. 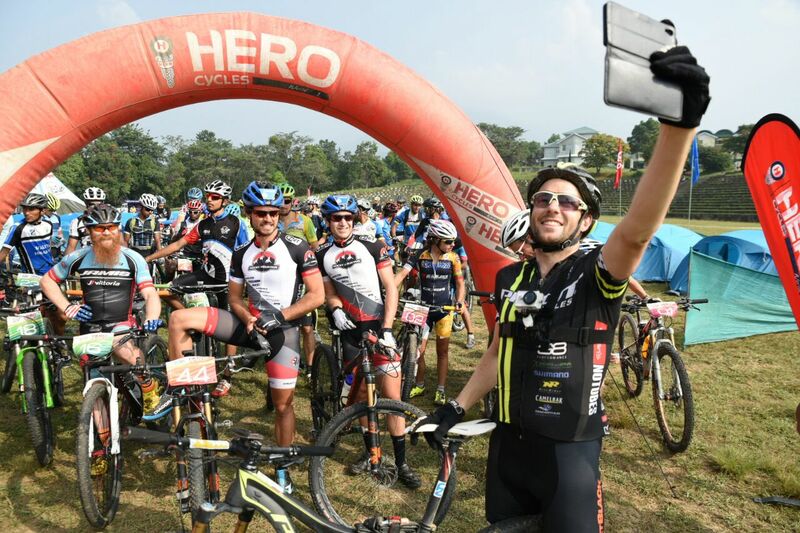 Mobile phone - phone service is available at all campsites and for most of the race route. Just don't get Vodafone. Aircel seemed to offer the best coverage. 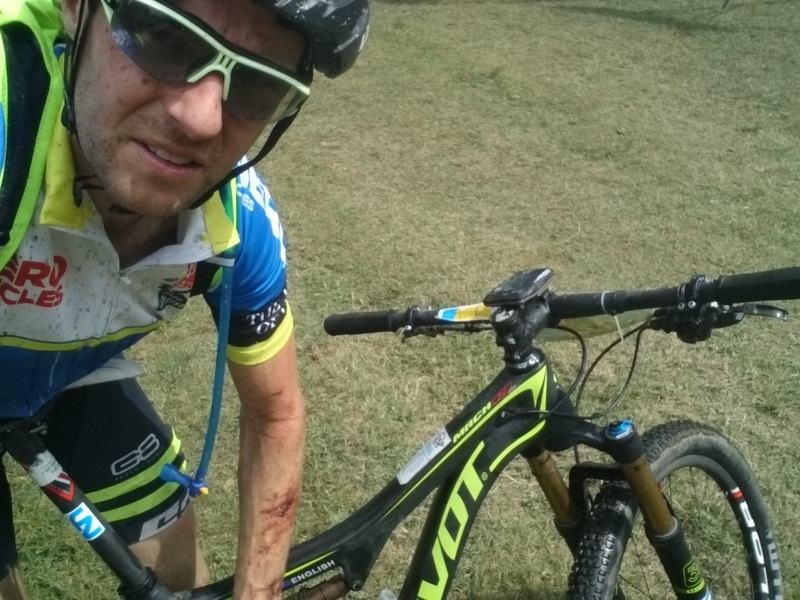 Glasses - most of the riding is out in fairly open conditions. I used Adidas photochromatic glasses that turn clear when heading into darker sections of forest. Oil - a small bottle of lube should be carried to reapply if the chain is sounding nasty due to the number of creek crossings. Day 1 - Waking up in a hotel is always a great way to start a race. 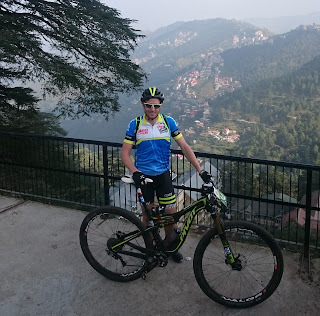 With a bit of jetlag I made the most of getting up early to go for a quick spin to check out Shimla. This place seemed to be filled with joggers and people using the fitness equipment at 6am. I was fortunate that the first day's race started a little later as I possibly went a little too hard at breakfast, aiming to experience everything several times over. The race started with a neutral roll from the hotel to the local courtyard where the race restarted with another neutral roll out of town to where the race really started. I managed to film a little of the roll through town. Bushes are sharper in India! 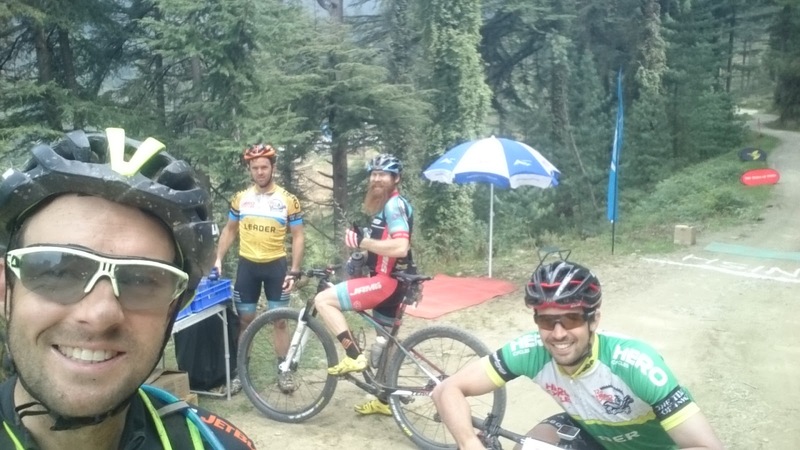 The first real race component started on some fairly technical trails that in sections required dismounting. It is here where I got excited at the prospect of a non-fireroad event! After the first decent I had a little gap on the field. That is until Cory Wallace easily bridged across to me with Thomas Turner in pursuit. They swapped off turns as I struggled to hold on the back through this first section. Going down the next downhill I got another gap and played recovery as Cory and Thomas caught me back. I managed to cut my sidewall on one of the smoothest sections of fireroad. 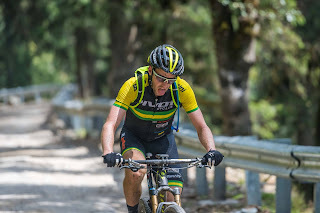 I'm blaming my sweaty glasses as the WTB tyres I am using have been great in all other conditions and the first part of the race had some good tyre destroying sections that I avoided. Day 2 - With a 1700vm decent I was pretty keen to have a good go at the second stage. After losing 5 mins on the first stage due to a flat I thought I might have a chance to make it up. Within the first 100m up the first climb I couldn't pedal. I felt weak and dropped off the back straight away. I ended up sitting in around 6-7th position until the top of the climb at the 30km mark where I managed to catch up to the chase group. I got to the front part way down the major decent and could see I had a 3-4 min gap as I started the second last climb at the 55km mark. 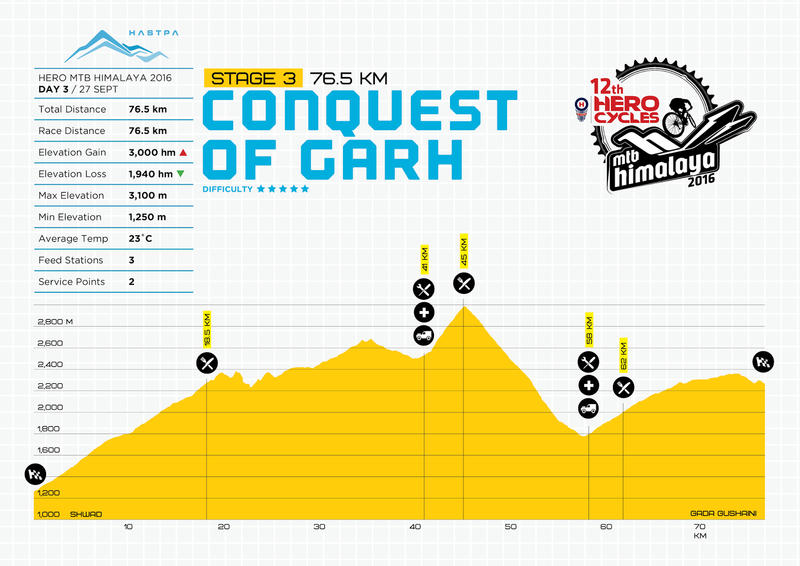 This gap didn't seem to change much over the final 45km. The 57km feedzone wasn't setup when I rolled past which meant I had to conserve the fluid in my Camelbak for the remainder of the race! 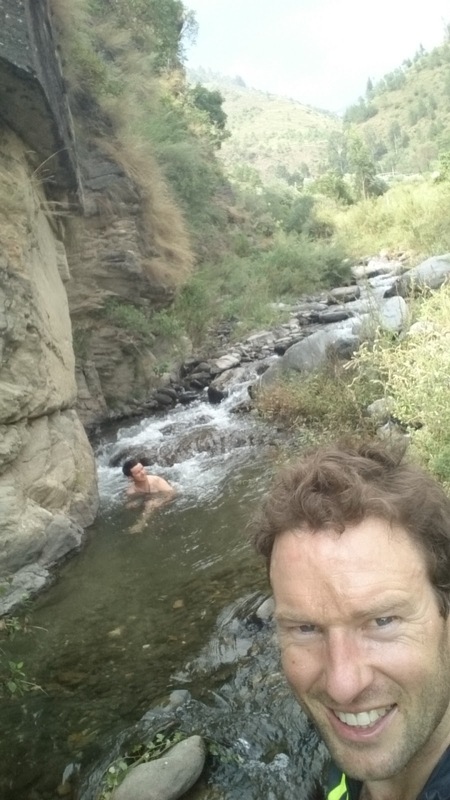 Day 2 finished at a little school at Shwad which had a much needed river running through it! While the government schools provide lunch to the kids, the school canteen is still a popular destination. Today it was not only for the students! Cory enjoying the gluten free snacks! 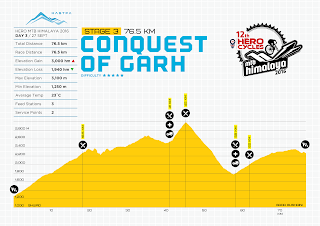 Day 3 - Day 3 had the greatest amount of climbing of all the stages. 3000vm of climbing and reaching over 3000m above sea level. I started off feeling pretty good, then I got high. 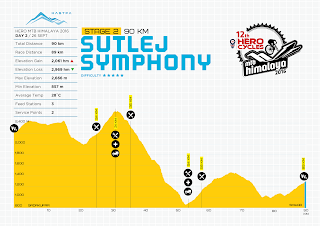 At an altitude of over 2000m I would start seriously puffing at a fairly low intensity. As the altitude climbed closer to 3000m I was getting light headed and felt like I had run out of glycogen! The next 1200vm decent was a race against the cars, buses and trucks. The final climb seemed to go on longer than advertised but knowing the following day was a rest day was assurance it was ok to dig deep. Day 4 was a rest day. It seemed strange to have a rest day after only 3 days of racing. There were heaps of options for things to do. For me the morning started with a chance to see how the food was done at camp. At 10am we checked out a local school who put on a good show for us. In the afternoon I visited a local temple and managed to buy some souvenirs and of course fireworks! Buying the fireworks I felt a little uncomfortable as we were led to a backroom attached to a residence after making inquiries at the local shoe shop. 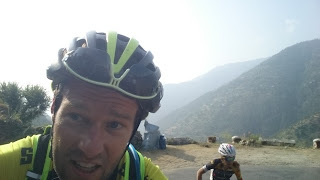 Day 5 (race day 4)- Another day filled with climbing. Several mountain passes just under 3000m above sea level kept me gasping. I really developed a sense of deja vu on the second climb as it just seemed to go on forever. After another switchback was another that looked exactly the last one. On the 3km single track decent I did have a 'scared of heights' experience on the edge of a crazy 800vm+ cliff. The last climb had a good hike a bike section that had me gasping even at a very slow walking pace. A downhill finish is always a nice way to end a stage. 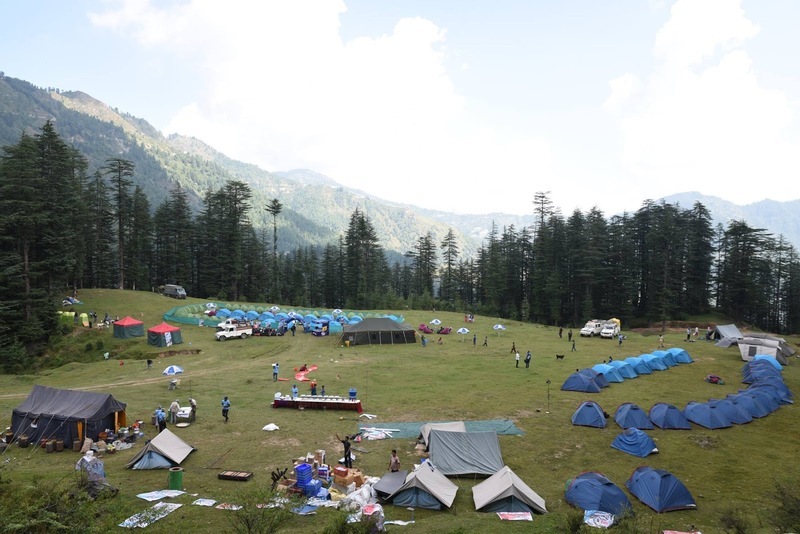 It was still another few vm to decent to our campsite at the Bagshed School. 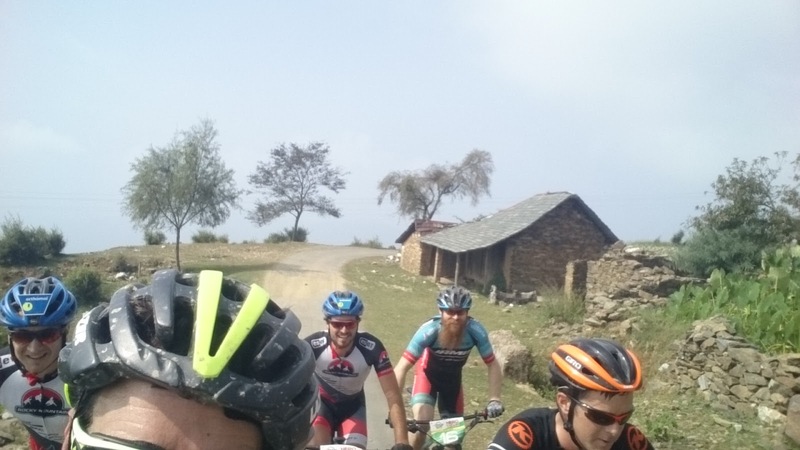 Day 6 - Day 5 was the first day that was raced mostly under 2000m above sea level. 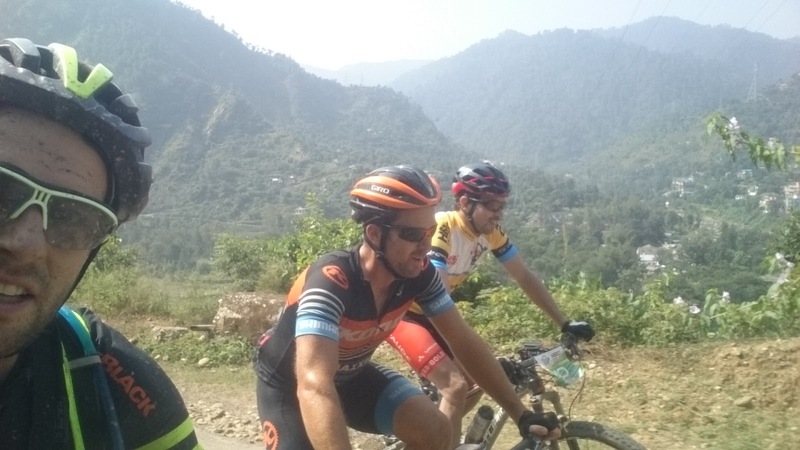 I managed to bridge across to Andy and Cory at the 30km mark after getting dropped early on during the first climb. 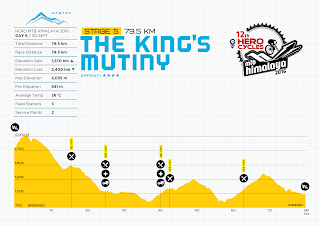 Cory attacked on the 2nd climb at the 40km mark which caused Andy to ride past him and away from us both. 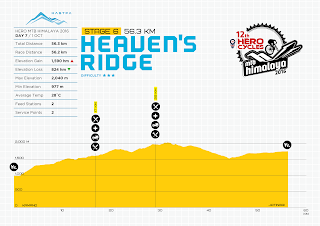 I tried to encourage Cory to keep the pace high however, he dropped off my wheel on the second downhill at around 55km. I finished around 5 mins down on Andy and just over a minute ahead of Cory. The highlight of the day was catching the boys again and trying to negotiate with walkers / rotary hoe drivers through the residential areas. This was the second climb of the day. I knew we wouldn't be riding together for long! Day 7 - was a 55km road race. After sitting in 6th up the first climb I bridged across to the chase group. I managed to sneak away on the last downhill however Cory, leading a charging group, easily bridged across in the last 10km. With Andy off the front I finished with the group. Highlights for me were dodging monkeys, snakes, goats, sheep, cows, cars, buses and other vehicles. Seeing vultures and pulling off a massive save after overcooking a corner were also on the list! Day 8 - At the end of this stage I started feeling stronger and fitter. This could have been as most of the day was under 2000m above sea level! 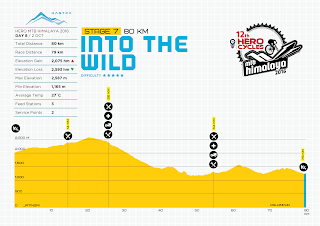 The 74km route ended up being 88km with a few unusual 'features' to keep things interesting. Two pack horse trains on a super narrow single track creating a forced 2 min break. There was no way past the animals, it was just a matter of getting out of their way and letting them past. 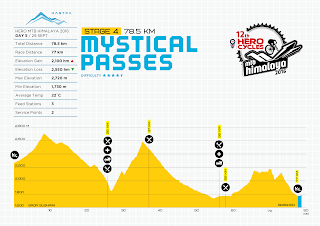 The second climb started with an unrideable staircase of around 1km. At the top of this climb was a 1400vm downhill that had serious cliff edges. With no barriers it helped me keep the speeds sensible. Near the end of the race was an unrideable river run, which was almost 1km again of carrying bikes down a river. A race in India wouldn't be complete without a torrential downpour which seemed to wash away lots of the trail markings. I finished 2 mins down on Andy and 9 min ahead of Cory. 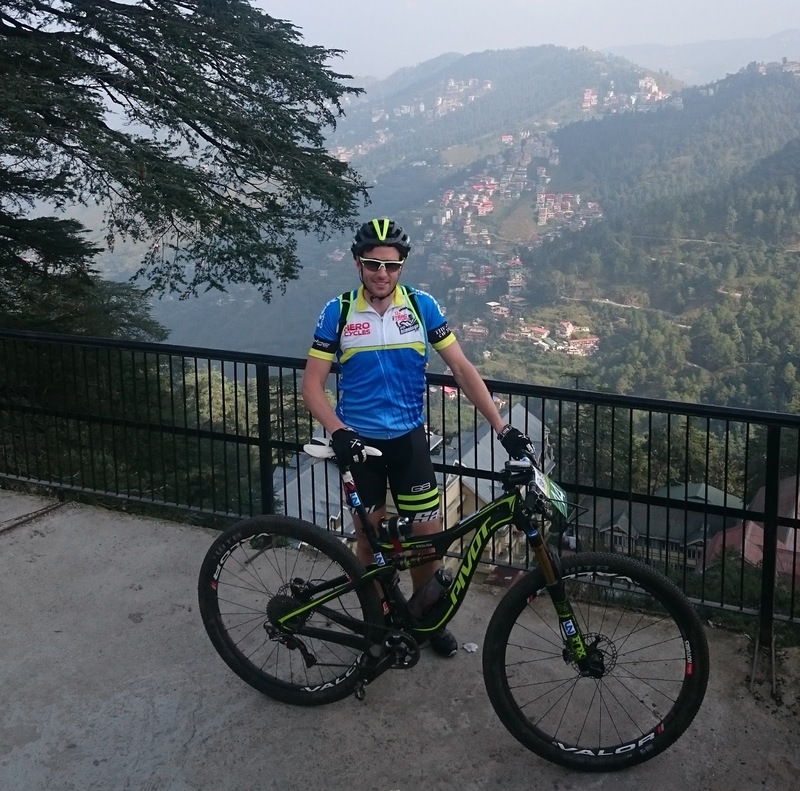 Day 9 - As a last day it was decided to let the local Indian riders battle it out for the stage win and overall Indian rider. This meant for a more casual last day. I should have taken more pics of the hike a bike sections! Overall I finished 3rd on GC behind Andy and Cory. Thomas decided that a goat that wanted to follow us needed a helping hand. I'm not sure he managed to grab it on the fly. For a 2 week holiday / tour this is a value packed trip. From Australia, this is how cheap you could do it! 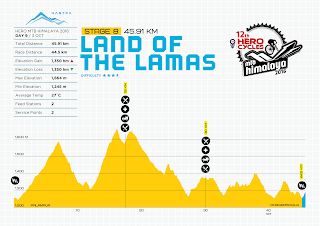 So for just over $3000 and two weeks of adventure / touring, this race is well worth doing. I know little things about this mobile phone accessory shops. Some friends who stays in Australia said that they are pretty good and they have a huge collection of back covers. Giaonhan247 chuyên dịch vụ gửi hàng đi mỹ cũng như vận chuyển hàng đi mỹ với chi phí gửi hàng đi Mỹ giá rẻ cạnh tranh giúp gửi đồ đi Mỹ uy tín nhất.